Wow! You've got to try these old fashioned Fizz recipes. Fizzes are made from citric-acid syrups like lemon, pineapple, and so on, but usually with lime juice, and they're served while effervescing. The unique "fizz" effect is gained by injecting or pouring the carbonated water in a series of quick dashes (amounts), or by the addition of a little bit of bicarbonate of soda (baking soda) and shaking. There's no doubt about it, fizzes are unique AND delicious! 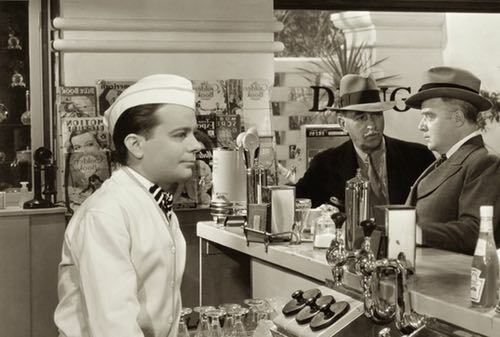 Sometimes the old time soda fountain operator added an egg to the standard soft drink mixture to lend richness to the beverage and to hold the effervescence longer. If the white of an egg is added and the beverage is shaken, it becomes a "Silver Fizz." If an egg yolk is used and the drink is shaken, it becomes a "Golden Fizz." Enjoy an old time fizzy beverage today! Fizzes are refreshing and so good tasting you'll want to down seconds. And for non-alcoholic drink recipes, you can't beat these. Why not set up an old fashioned soda fountain for your next party? Fizzes would be a huge hit. 1-1/2 ounces cherry syrup, juice of 1/2 lemon (1/2 ounce). Squeeze juice of 1/2 lemon in cherry syrup in mixing glass half full of carbonated water. Strain into 12-ounce glass, add a little sodium bicarbonate (baking soda) from end of spoon and fill glass with carbonated water. Price—10 ounces, 10 cents. 1-1/2 ounces cherry syrup, 1/2 ounce lemon juice. Pour into a mixing glass half full of cracked ice, stir well, strain into a fancy glass which has previously been filled about one-third full of fine ice, add a little sodium bicarbonate (soda water) on the end of a spoon, stir well, add a slice of lemon and orange, or a cherry and a slice of orange. Price—10 ounces, 10 cents. 1/8 ounce lemon juice, 1 ounce pineapple syrup, 1 dash Angostura bitters, enough shaved ice. 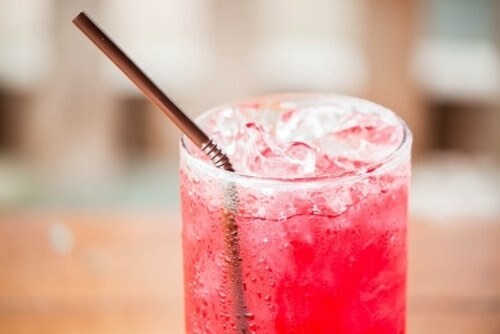 Place in glass, fill with carbonated water, top off with a slice of orange and cherries, and serve with spoon and straws. Price—10 ounces, 10 cents. For this fizz recipe, fill a glass half full of shaved ice, add white of 1 egg, 3 spoonfuls powdered sugar, 3 dashes Angostura bitters, 4 dashes lime juice. Shake well, pour into 12-ounce bell-top glass, and fill with soda water in short dashes to make fizz.